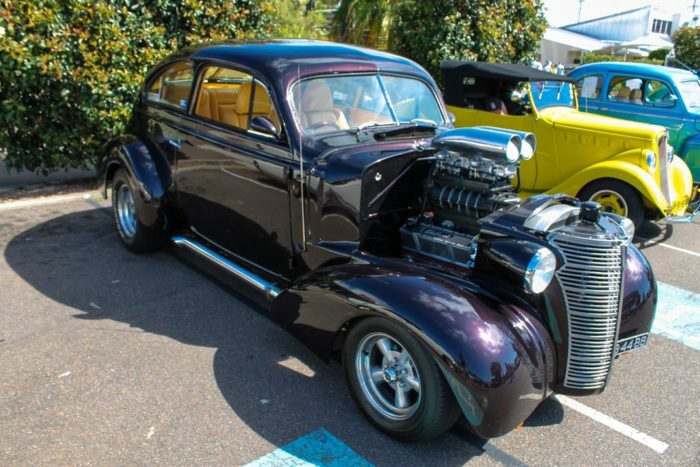 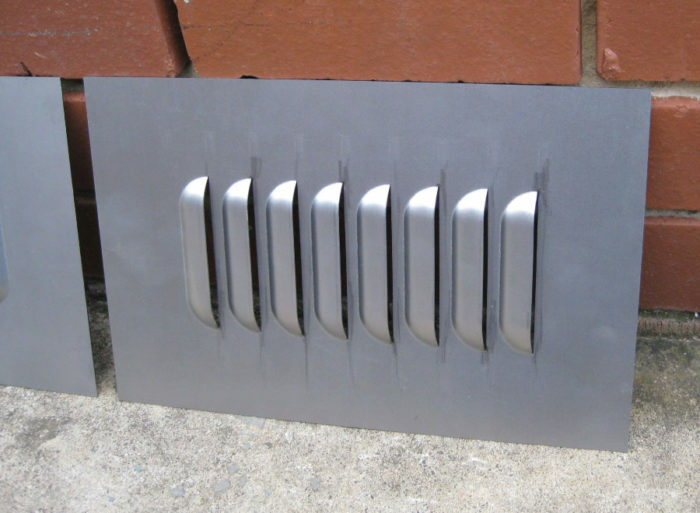 We manufacture American Styled louvers that will suit cars similar to Chev automobile. 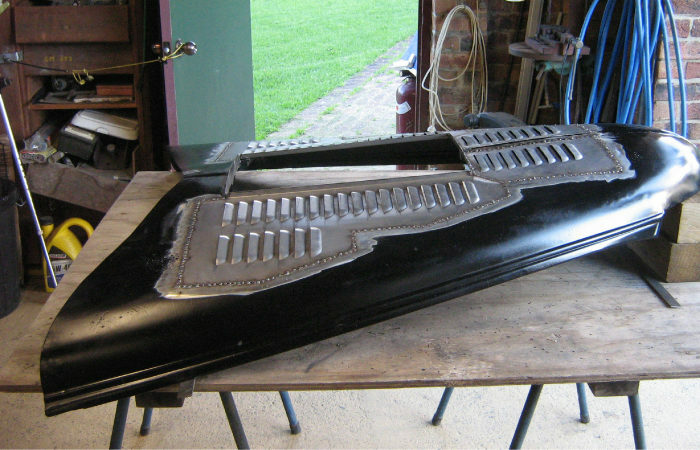 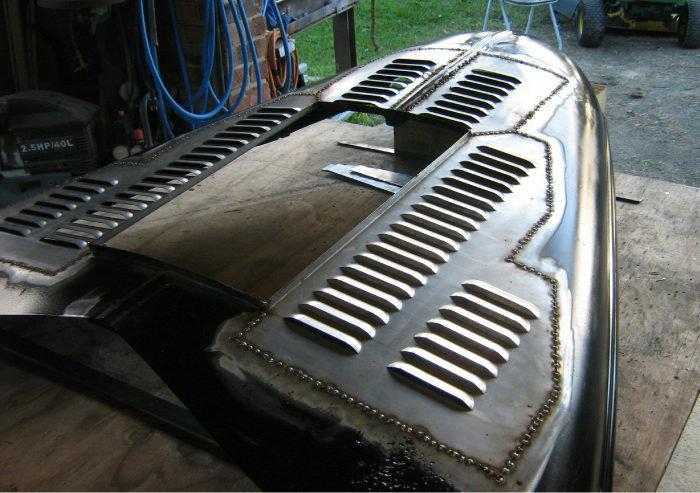 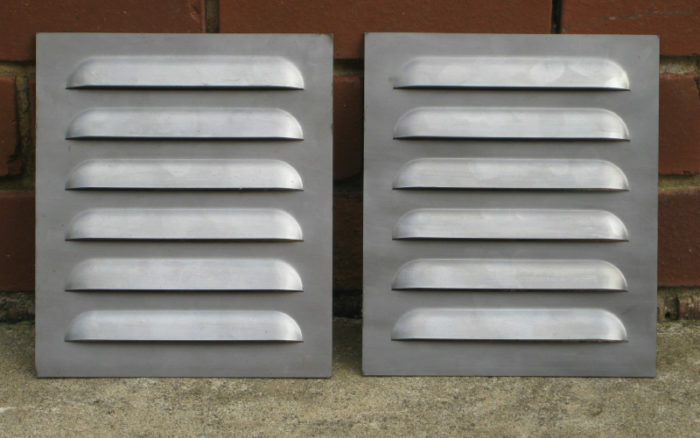 These Louvers can be used for Bonnets and also side bonnet and side door/cabin. 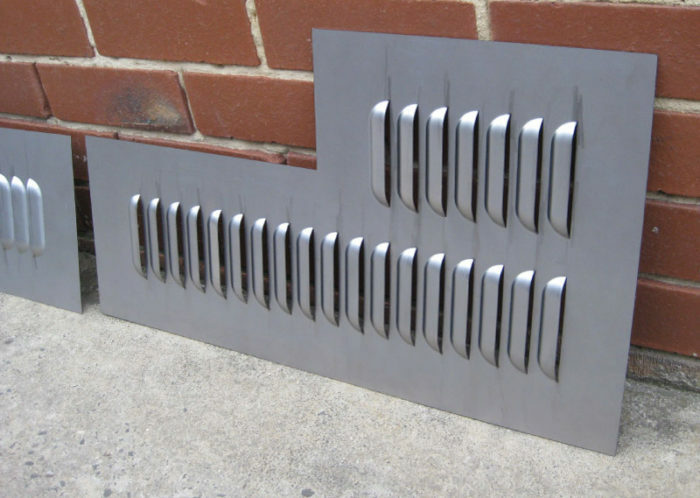 These "chev" style louvers can also be used for ventilation and architectural louvers, where there high profile but reasonably narrow openings can prevent moisture getting into ventilated areas such as generators etc. 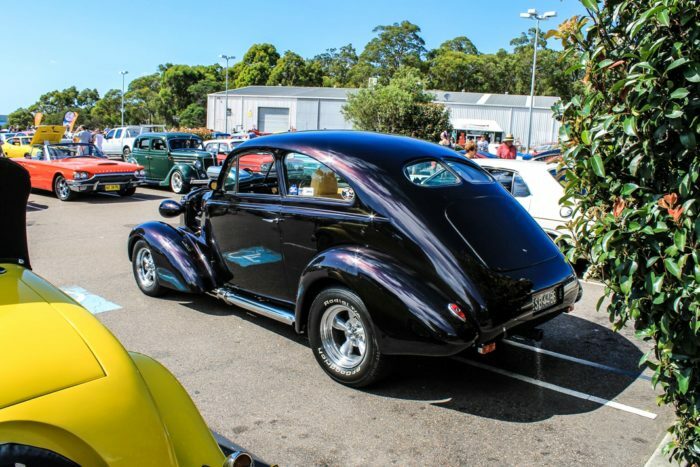 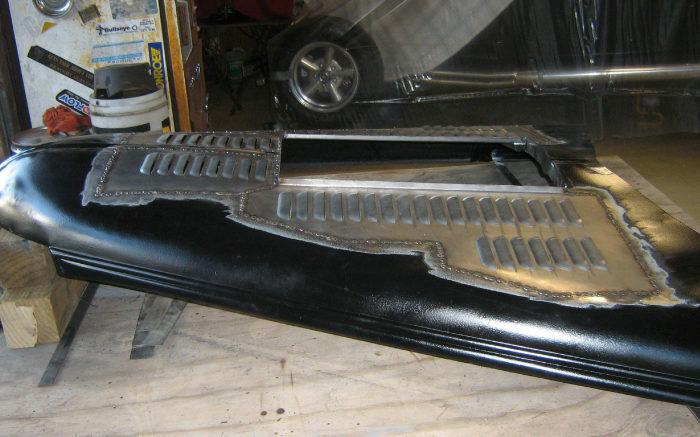 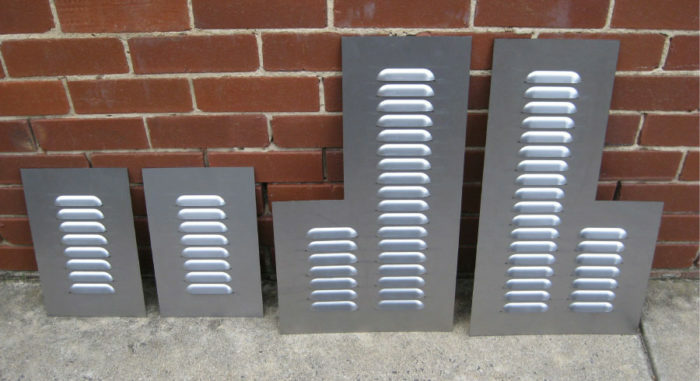 We have Chev louvers that are 100mm, 160mm, 300mm and now 400 wide. 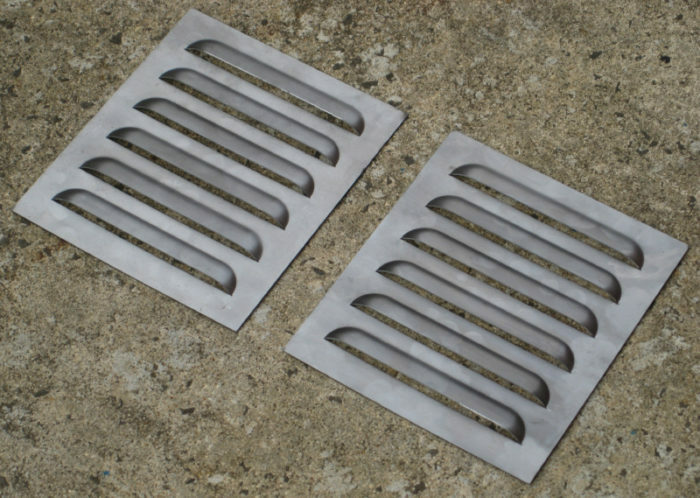 However we can supply any width. 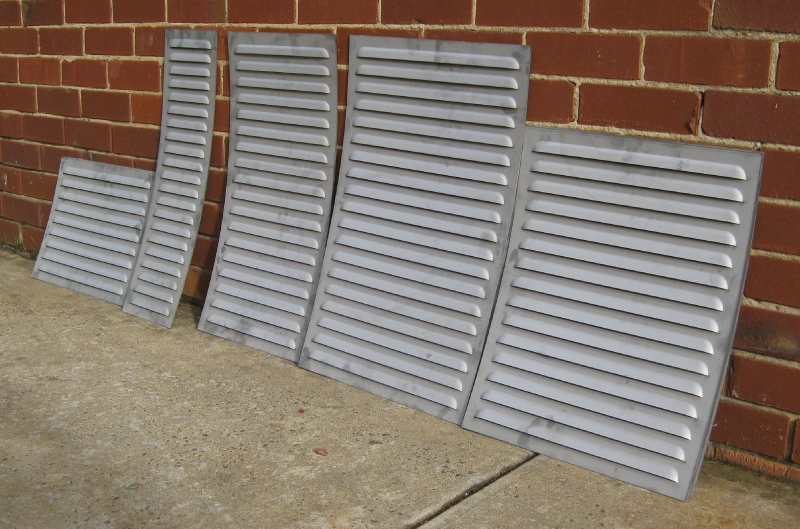 These chev style louvers shown below are perfect for ventilation panels such as coverings for outdoor generators etc. 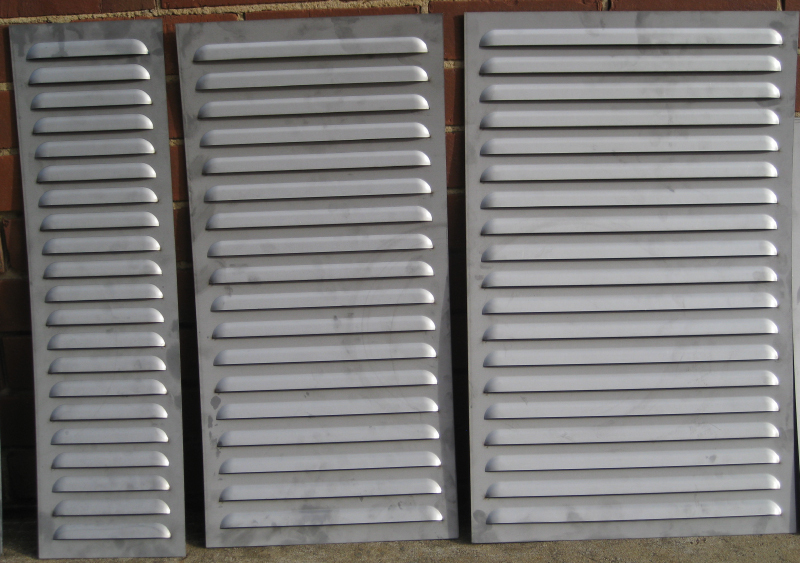 Below are shown our 160mm, 300mm and 400mm wide louver panels. 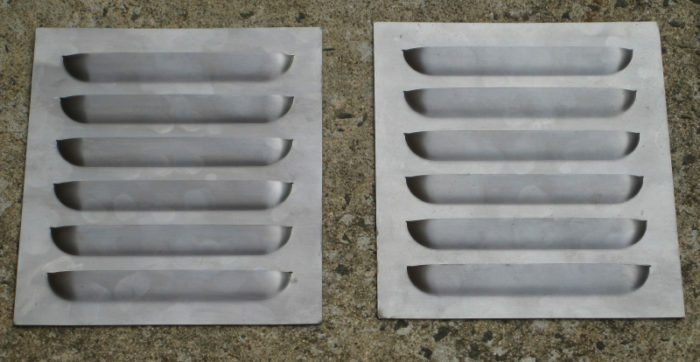 Made from 1mm steel - zinc annealed.